Department Biologist, Brett Montgomery, collects data while sampling for Roundtail Chub. 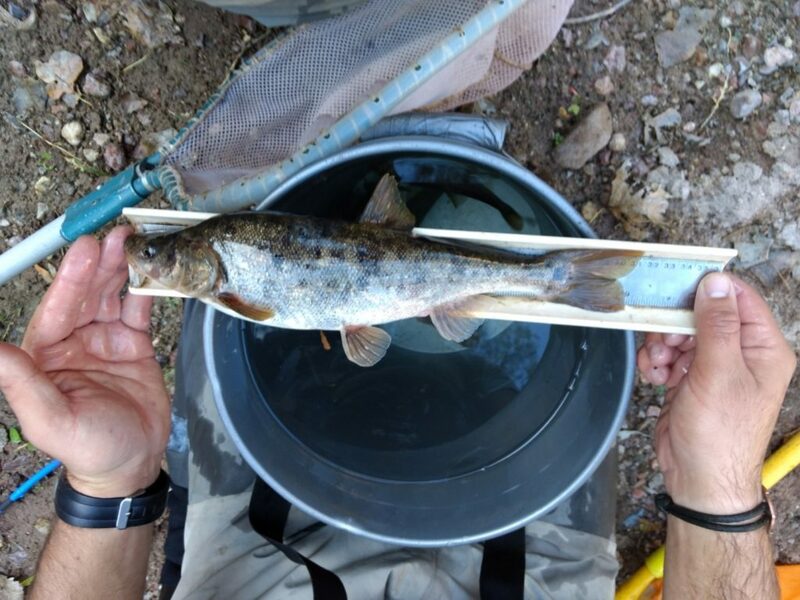 In November 2017, as the field season is winding down and the weather turns brisk, staff from the Department and The Nature Conservancy sampled for native fish in Aravaipa Creek, a tributary to the San Pedro River. 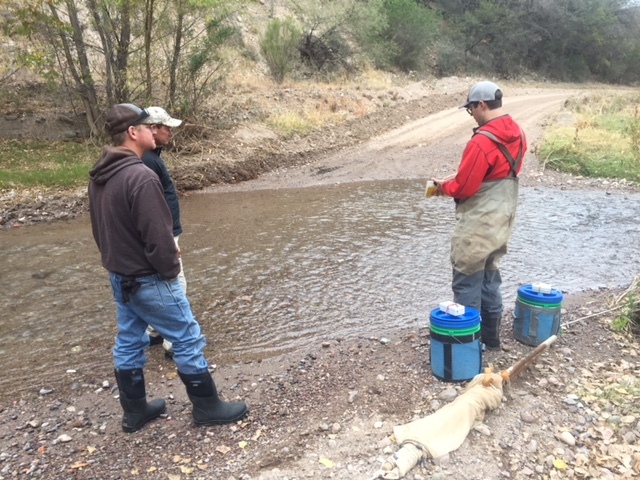 The two main goals on this trip were to capture Roundtail Chub to collect genetic samples, and to collect a subset of the federally endangered Loach Minnow and Spikedace to contribute to the hatchery broodstock populations for future stockings and translocations. The Loach Minnow and Spikedace broodstocks reside in the Department’s Aquatic Research and Conservation Center. 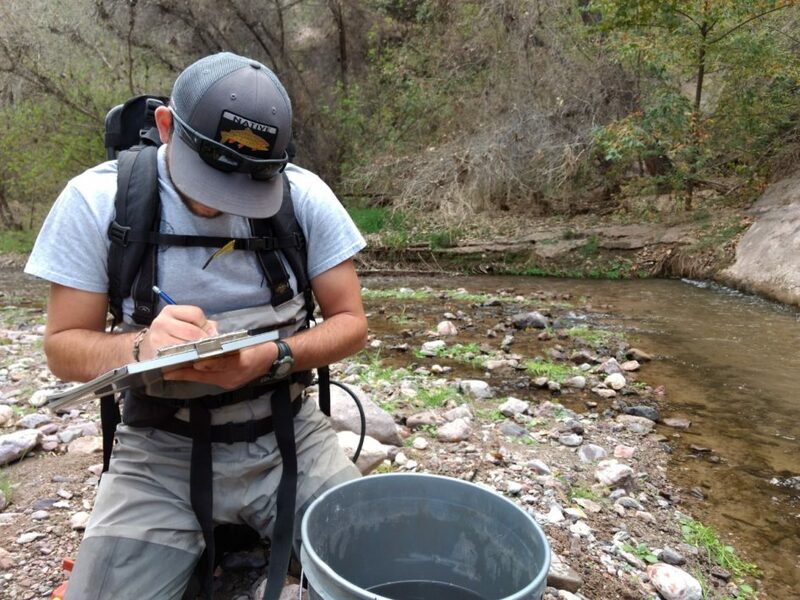 Aravaipa Creek is widely known for the high biodiversity of native fish species throughout the system. 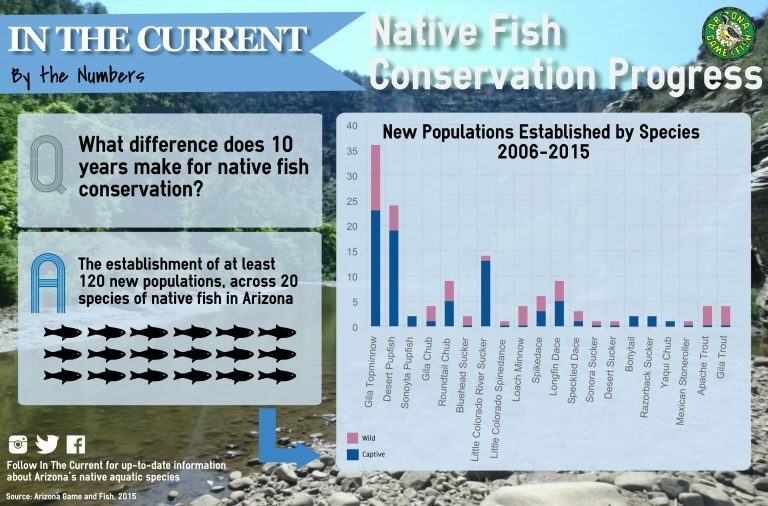 It is inhabited by seven native fish species, including Sonora Sucker, Desert Sucker, Longfin Dace, and Specked Dace in addition to the species mentioned above. This system serves as a refugium to native fishes in the San Pedro River drainage. Biologists preparing to seine for Spikedace and Loach Minnow. This Roundtail Chub was by far the biggest catch of the trip! After measuring chub and collecting fin clips, the fish are returned back to the creek.